Sarah Allen Benton MS, LMHC, LPC, is the author of the book “Understanding the High-Functioning Alcoholic.” She is a Licensed Professional Counselor practicing at Insight Counseling, specializing in outpatient adolescent/young adult addiction services, family support, and mental health services for clients of all ages in Ridgefield, Connecticut. Sarah is also a co-owner of Benton Behavioral Health Consulting, LLC, offering a range of addiction and dual diagnosis treatment services. Sarah writes about addiction and recovery in her PsychologyToday.com blog. You feel you have your drinking under control. Yeah, it’s bad sometimes, but it doesn’t impact your work, family, or friends. Or at least that’s what you think. We recently spoke with Sarah Allen Benton, discussing A.A. as a part of recovery, and why many alcoholics aren’t seeking the treatment they really need. A 12-step peer support system is an important component of treatment for most alcoholics, and most benefit from additional treatment options as well. Yet even with a range of accessible treatment choices available, many alcoholics still go untreated. I think for many alcoholics, alcohol is the solution. At the same time, it is also the problem. It’s not solving anything in the long run. The people who contact Benton most frequently about addiction help are the friends and family of addicts. The alcoholic doesn’t usually reach out, because they are often unable to see how their addiction is impacting their own life and the lives of others. “There is a bit of almost delusional thought when you suffer from an addiction. You aren’t thinking clearly, and you are also focused solely on your own needs: what you want, what feels good, and what your solution is. I think for many alcoholics, alcohol is the solution. At the same time, it is also the problem. It’s not solving anything in the long run.” It’s actually making things worse. Co-occurring disorders, such as anxiety, PTSD, or depression, often go hand-in-hand with alcoholism. “It is really hard to solve those issues if you are still drinking, and it is so hard to tease it out when someone is drinking actively.” In cases such as this, a 12-step program will be most helpful when included with other treatment. Benton agrees. No one is saying A.A. is the be-all and end-all solution for every single problem in your life, including alcoholism, or that you just go to meetings and do the work and that is it. There are so many other pieces to recovery. So it raises some red flags for Benton when she hears about people becoming extremely one-sided in their recovery. 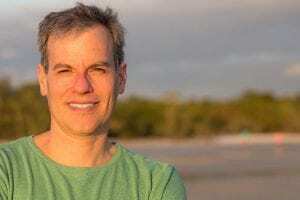 One of those paths, the abstinence preached by A.A. and other abstinence-based self-help groups and addiction treatment, have come under fire recently by Gabrielle Glaser in her article, The Irrationality of Alcoholics Anonymous. In this article Glaser suggests that the abstinence model of A.A. might not be as effective as simply drinking in moderation. Benton rightly took umbrage with this message—personal experience and research have taught her the opposite is true. She believes that while problem drinkers or people in a heavy drinking phase in life can eventually normalize their drinking, alcoholics can’t. In her response to Glaser’s article, Benton gives several arguments for the danger of suggesting such a message. There is also Benton’s own experience. “I went to a moderation management therapist. I know, I understand this, this isn’t something I am just theorizing. I failed. I was unable to adhere to that menu.” Alcoholics, Benton states, cannot moderate—so the only time moderation should be a part of a treatment plan is for assessment, harm reduction, or for a problem drinker. “I needed it for myself to believe that I was truly an alcoholic. I gathered evidence that I was unable to adhere to what I was being instructed—which was to adhere to low-risk drinking limits. I was unable to do it.” That was when her alcoholism hit home, and she recognized she needed a real treatment plan. Benton feels the message Glaser’s article contains is dangerous. Glaser is “telling alcoholics that there is another way,” a way other than abstinence. And that is worrisome because “alcoholics are dying for someone to give them an excuse to drink. They are clinging to articles about a solution like this.” But it isn’t the solution they need. Each person’s solution will look a bit different. But it takes more than moderation to help an alcoholic recover. Before it comes to that, seek help. Everyone’s journey to recovery will be different, but Sarah Allen Benton, and ourselves at Alta Mira, understand the complexities of your individual situation, and believe that only an individualized treatment plan can get you on a road to lifelong recovery. Our team appreciates the opinions and insight from our compassionate, experienced, and credentialed colleagues like Sarah Allen Benton. 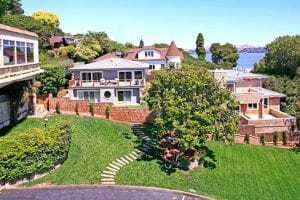 Alta Mira Recovery Programs is a premiere residential treatment facility in beautiful Sausalito, California, with a team of compassionate, reputable addiction treatment experts in various disciplines who are dedicated to helping people break free from substance abuse. Please contact us today.